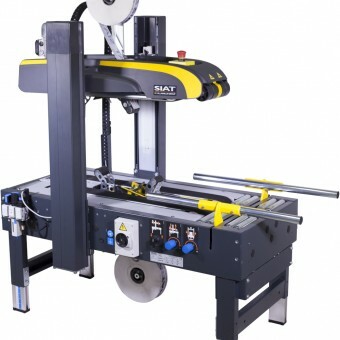 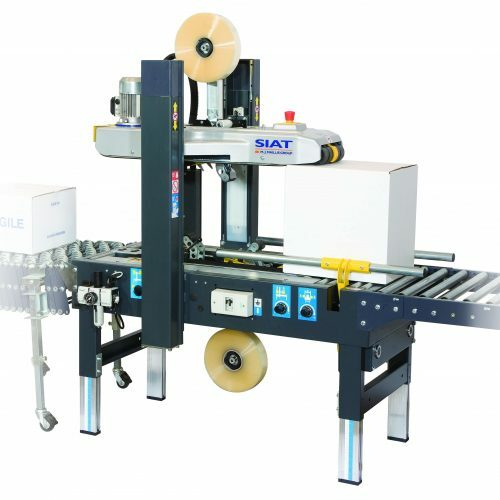 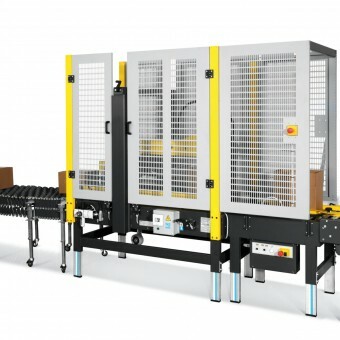 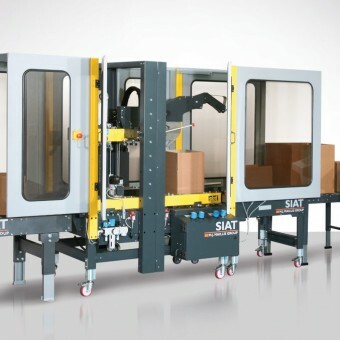 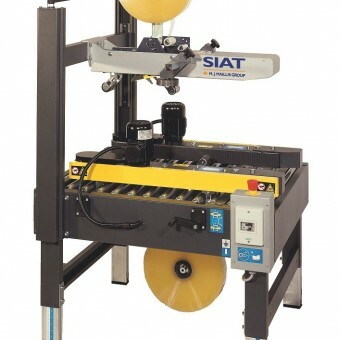 The SIAT SR4 is a manually fed, self-adjusting case sealing machine suitable for sealing a wide range of case sizes up to 500 x 500mm. 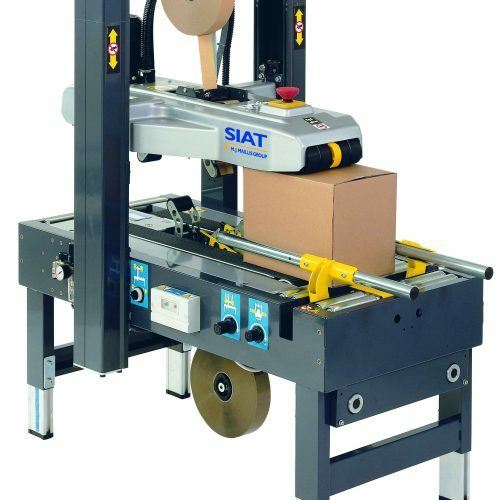 It is quick and easy for any operator to set up and run. 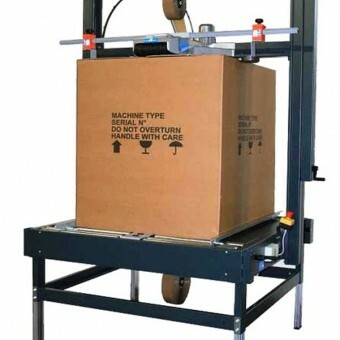 The SR4 has a pneumatic system to adjust for different case sizes meaning random size cases can be sealed with ease. 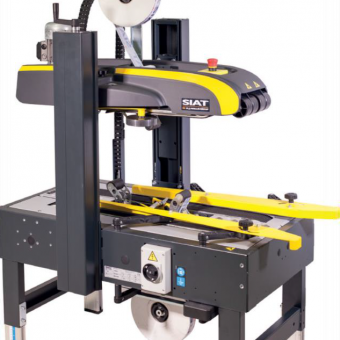 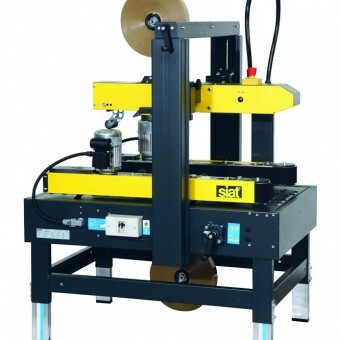 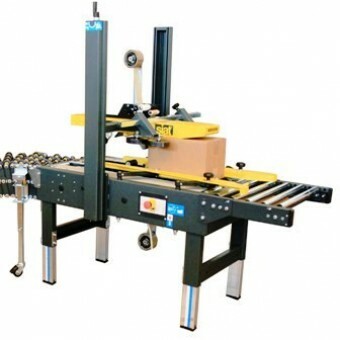 Top and bottom drive belts seal both heavy and light cases without the cases stalling over the taping heads.